First impression is the last impression is absolutely true when it comes to the professional world. 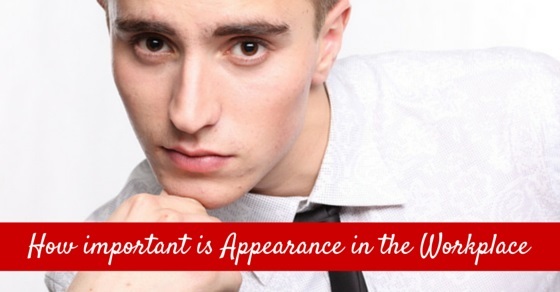 You need to understand the importance of appearance for your industrial business and when attending a job interview. One might say that the appearance does not matter in work, it is only the capability and knowledge one puts into it. In this case, one needs to re-evaluate the scenario all over again. It is equally important to dress well and appropriate in the professional world. It not only adds the confidence to the individual but also impresses and attracts other people. Below are the listed 18 ways by which one can achieve a great physical appearance in workplace. No matter what a person tries to convey about his or her personality to colleagues, seniors or clients through their work and results, still the first impression counts a lot and it lies in the appearance one carries with them. Once it is set in the mind it is hard to get over with it because what people perceive is accordingly to what they are able to judge with. So before deciding on jumping into a fancy attire give it a thought about how the other person will see or what the communication will be received. Many organizations follow a strict dress code of weekdays and weekends, along with that they have strict policies of no visible tattoos or piercings. Every work has a certain structural requirement and pattern to it, therefore, the dress code for work helps to create the first impression. Every organization comes with the different set of rules. 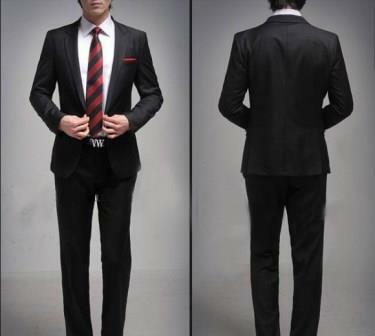 The dress code in corporate signifies the uniformity in the system which is the critical requirement. Not only that, it also has a psychological impact on everyone working there to feel themselves in a similar way. While certain organizations give freedom of choice that one would like to wear. But this is the point one need to tread cautiously. Despite the fact that men have lesser options when it comes to clothes, yet a lot is to be taken care of them in their appearance and grooming. In corporate or business settings it is advisable to be clean shave and have well trimmed hair, crisp shirt and trousers with polished shoes. Colors are not to be flamboyant but simple yet smart. In the creative field for example, in advertising, the freedom and choice of dressing is more when compared to business structures. But the main idea behind their appearance style is to bring out their personality, infact the hygiene is still the core factor to be looked into. In business setting women generally wear the classic business suit of skirt and blazer, in neutral shades of gray, black, white, brown, etc. The make should be minimal and not overtly used, while chunky accessories should be avoided and a nice light earrings will complement their attire. It helps to create a strong persona for a woman without causing any distractions in the office. Again in the creative sphere of work, it is advised to choose your attire and look wisely. It should definitely complement the personality of the woman without creating her being an unnecessary point of attraction. It is essential to pay attention to avoid wearing plunging neckline and extremely short skirt, and also too tacky accessories. It is essential not to overlook the importance of clean teeth, clean nails and proper haircut. These might be the smaller elements of appearance which most of the people tend to overlook, yet they are essential ones. While shaking hands with someone with unclean nails will not look pleasant and will give the wrong message to the other person. If any tattoos are there on the body it is advisable to cover them up from the visibility. It is important to smell nice as it is another part of appearance which attracts people. One should carry a deodorant if the person tends to sweat more or in summers. Also using strong perfume is also not a good idea since it becomes distracting. It is good to use a mild and pleasant perfume. For men, keep your shoes polished, it shows the person is balanced and is responsible enough. While for women, it is good to wear flats if they are not comfortable with heels. If the footwear tend to make clicking around on the floor it tends to create distraction in the office, hence it is good to wear shoes which are comfortable and are not noisy. It is good to wear a watch since it helps to keep one in track with the time, and it saves one from checking the time from mobile. As per the few surveys done, while shaking hands people tend to notice the watch the person is wearing. Avoid leaving the shirt out, it is best to tuck them in as it gives a cleaner look. While the shirt out is extremely messy and gives a very casual attitude. Avoid wearing loud or neon colors as it creates a distraction in office. It is good to try out new fashion but keep in mind to purchase the dresses in subtle colors and not flashy ones. Neon colors are not suggested to be worn in office. It is best to avoid wearing translucent or transparent clothes in the workplace. But white shirts tend to be translucent when in light, therefore it is best advice to wear the right kind of underwear and prevent the skin show. Old is definitely gold, but that does not allow the person to wear the grandmother’s skirt or grandfather’s coat. It is good to dress up as per the standard social trends. A great body language is an add-on to the great appearance. Body language is a non-verbal way to communicate a lot about the person. Similarly, when working in the professional way one should prevent from negative body language which might offend someone. It is possible that one might not like the person in conversation with and would like to ignore him or her completely, but a professional and good attitude is to listen to the person intently ignoring the body language of the person. The physical gestures of hands and legs are also important while communicating about the enthusiasm or information. A person who constantly fidgets with hair or nose or even yawning during a meeting conveys the disinterest in the scenario, which further makes them look casual and unimportant in the eyes of their colleagues and seniors. Spoken words or a conversation is a part of appearance. A good communication is highly effective to achieve great results and impress colleagues. Expressing anger to a colleague is not the effective way to deal with the situation, in the cases of differences, it is best to talk about it to the person directly with a mature attitude. Also it is necessary to understand the concerned person in conversation. If talking to a senior authority the attitude has to be more subtle and respectful. It is highly advised to avoid using the foul language while in conversation. It not only spoils the professional relationship but also is against the code of conduct of the organization. It ruins the impression one would have created among the peers in a fraction of seconds. As discussed for the language and words, the voice modulation while in conversation with someone is also essential. Talking loudly in office creates a bad impression or unnecessarily speaking in whispers is also not appreciated. Keeping an eye on the appearance in workplace might sound ridiculous initially, but once a person understands the benefits of it, taking care of that part won’t be an issue anymore. The goal of the company is not about the appearance but a bigger one, therefore it is advisable to follow the rules and code of conduct of an organization since it is another sign of sincerity.